Can astrology point us to living a meaningful life? In a universe that is teaming with life, intelligence, consciousness, and intrinsic order, the configurations of the celestial bodies at the moment of birth reflect a pattern of cosmic thought that initiates the span of a human life and points the direction towards which that life is headed. The end result is implicit in the beginning moment, as the oak tree is to the acorn. To the extent that we recognize and live out this innate purpose as an expression of our authentic self, despite the mixture of happiness and suffering that characterizes what it entails to be human, we acknowledge and fulfill the reason for our existence. Astrology provides a map that guides us towards our unique destination and gives the timing for each stage in our life journey. Demetra has been giving astrological consultations for forty years and has read many thousands of birth charts. She gives a unique perspective that combines an array of mythic archetypes, depth psychology aimed towards inner healing, and ancient techniques that give specific timing and practical suggestions for cultivating the potentials indicated in the natal chart. At the beginning of each session she will ask you about your concerns, and incorporate this material into the discussion of your life as a whole. You are able to participate as much or as little as you want according to your inclination, and there is the opportunity for your comments, reflection, and questions. A chart is like a seed that gives the genetic code for a the growth of certain kind of life form. Our authentic self is the maturation of that seed. The range of our human choice is ideally how to become the best and finest expression of the life that our chart is constructed to support. In consultation, Demetra works with the assumption that the role of the astrological counselor is to help the client bring that inner vision of true authenticity into focus. After studying philosophy and mathematics in her undergraduate years, Demetra began her astrological career in the 1970’s influenced by the esoteric teachings of the Rosicrucian Fellowship and the humanistic person centered approach articulated by Dane Rudhyar. During the 1980’s, stimulated by the work of Eleanor Bach, Liz Greene and Tony Joseph, she specialized in the exploration of the mythic archetypes standing behind the meanings of the planets, asteroids, and stars, and she also brought the feminine goddess dimension into contemporary astrological practice. During that decade she encountered Tibetan Buddhism which continues to provide the spiritual foundation for her readings. Demetra returned to university in the late 1990’s and earned a Masters degree in Classics, learning to read ancient Greek and Latin. 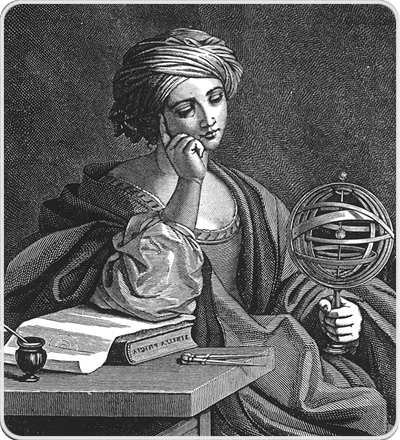 Those studies led to the next phase of her work, translating the ancient Hellenistic astrological texts, assembling a college course in the history of ancient and medieval astrology, and teaching the traditional techniques used by astrologers such as Hermes, Valens, Ptolemy, and Porphyry almost 2000 years before the modern period. Integrating ancient techniques with archetypal mythology, this one-hour consultation provides an overview of the basic life purpose, the opportunities and challenges of the current year, and a discussion of any focus questions. This consultation offers a retrospective and projection of your life purpose unfolding in cyclical phases of beginnings, culminations, and endings in accordance with the rhythms of the solar/lunar cycle in 30- year periods over the course of your life. 1 hour reading. ½ hour focus reading on any question or any part of the chart you wish to understand better. Using transits, progressions, profections, and the solar return, this one-hour consultation provides an in-depth investigation of the current year within the context of long term life cycles. What is the timing for the actualization of the birth potential and what areas of life are being emphasized in particular ways during this year? This ½ hour focused reading will discuss the natal placements and significance of the four major asteroid goddesses – Ceres, Pallas, Juno, and Vesta as aspects of the divine feminine. From a list of over 400 minor asteroids named after figures drawn from many world mythologies, this ½ hour reading will identify the deities that are most significant in your chart and act as daimons, spirit guides, guardians that guide you on your life path. This one hour session looks at the birth charts of two people in a personal or business relationship, evaluating their individual needs and capacity for relationship and then comparing the dynamics between them in order to assess compatibility, challenges, and the purpose behind why they have come together. Each planet in a chart not only has influence over the house it occupies and rules, but in addition can play major roles in directing the broader themes of the life such as overall success, good fortune, eminence, longevity, and destiny. This ½ hour reading will look at the Hellenistic techniques of the Domicile Lord of the Ascendant, the Domicile Lord of Fortune, the Trigon Lord of the Sect Light, the Oikodespotes master and the Kurios lord of the nativity; we'll determine which planets are in charge of your life/chart as whole and their strengths and weaknesses.